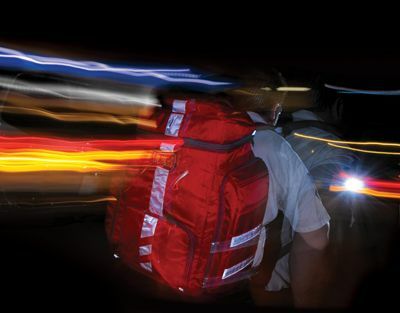 Here is our demonstration video of the EMT Trauma Backpack. Large Urban Rescue Trauma BackPack Multipocket Config. 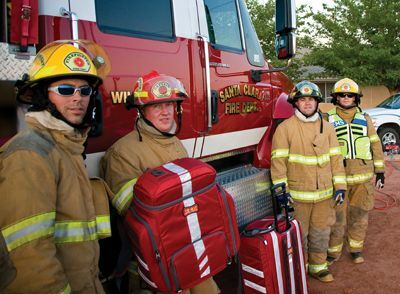 For those with their own supplies and a need to carry and organize them, we offer a wide range of empty EMS backpacks in your choice of colors. Whether you need to outfit a full team or just you, you can find a good variety here from various manufacturers. Need a kit filled? Never a problem - send the list to us and we'll help you pick and pack your kit from the best available bags in the marketplace. Call us with any questions you have regarding our bags and their uses.